The Nevada State Athletic Commission has medically suspended 12 “UFC 141: Lesnar vs. Overeem” fighters for various injuries sustained in their respective scraps this past Friday. 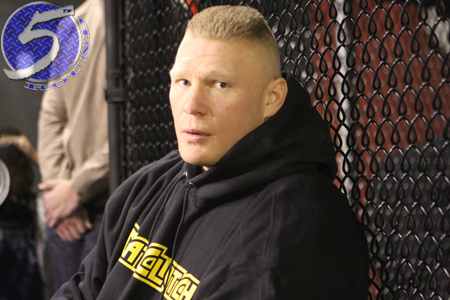 Brock Lesnar (Pictured), Nate Diaz, Vladimir Matyushenko and Manny Gamburyan could be riding the pine for up to six months because of their bans. However, each can return to action sooner with a doctor’s note. Lesnar’s suspension is a moot point because the former heavyweight champion announced his retirement from mixed martial arts following his 1stRound TKO loss to Alistair Overeem. The MGM Grand Garden Arena in Las Vegas hosted this past weekend’s show.